Enhanced metallurgy and optimized geometry make our Enhanced Ejector a premium upgrade for your bolt assembly. With a rounded head polished to a near mirror finish, this ejector dramatically reduces brass smear and shavings. It's the standard ejector on all our EnhancedBolt models. 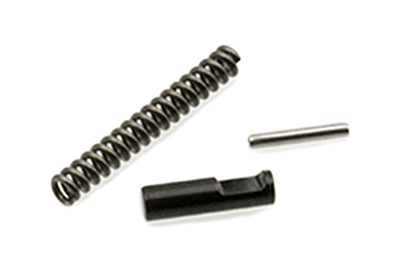 Designed to function in any standard DPMS-style bolt assembly, this Enhanced Ejector includes a replacement ejector spring and coil pin.